I’m not biased or anything, but I’m pretty sure today will be our best treat giveaway ever. Did I tell you I was excited about this month’s treat giveaway? Just wait till you SEE! I was able to treat four dogs with one treat! We have two treats to choose from, as we do every month, but I think I know which one the winner will choose. First, let me show you the delicious treat that big dogs love, but that will limp in in last place compared to the other. 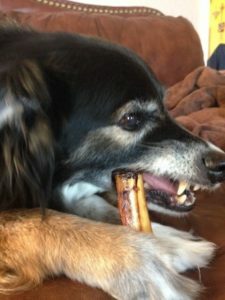 The Jones Natural Chews L Bone is designed for larger dogs. Still covered in meaty bits, it’s a savory bone, meant for long chewing satisfaction. Doesn’t that sound tantalizing? 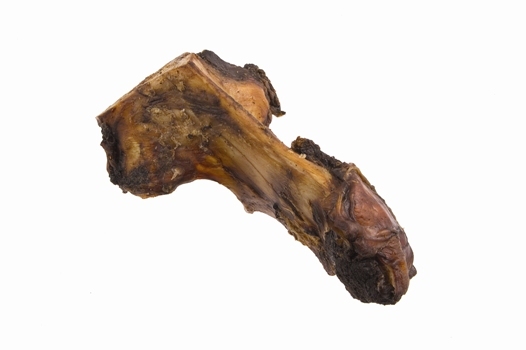 I’ll be giving this L Bone to a Great Dane later today and am so excited! It’s a two ingredient treat (I’m counting the natural liquid smoke as an ingredient). Simple, all natural, grown and made in the USA! What’s not to love? 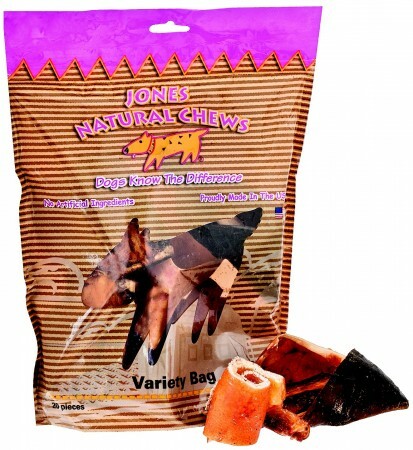 Jones Variety Bag 20 is chock full of good stuff dogs love, naturally! All natural, grown and made in the USA – this is the treat giveaway discerning dog lovers will choose! I’ve already opened one of these bags. It’s taken us nearly a week to go through it, with three dogs, as well as sharing with Bella, our favorite Australian Shepherd. Bella slunk off with her Jones Hoof. 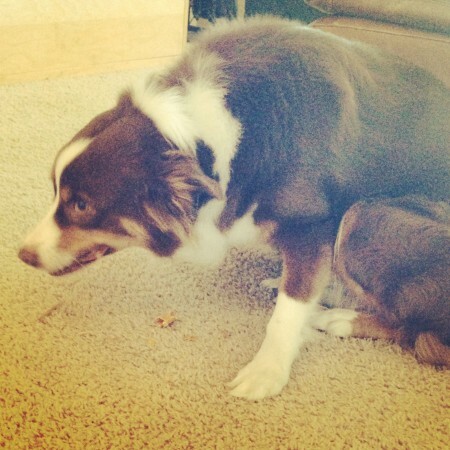 She’s protective of her treats. She also got a couple of K9 Bacon Rollers and a slice of Pig Ear. Bella loves when Aunt Flea visits. Bella makes quick work of the chews. This is the tail end of a K9 Bacon Roller that came in the Variety Pack. Then I came home and treated my own dogs. 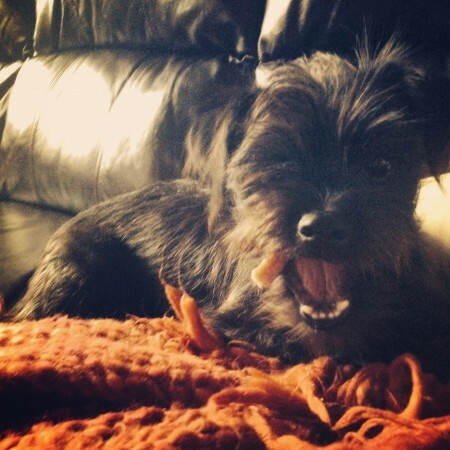 I think Chewy is gnawing on a Bully Stick bit. I gave him only the smallest pieces in the bag, since he’s a tiny dog. Flash is loving the Lamb Shank that came in the Variety Bag 20. He shreds them while I watch, then I pick up the pieces so Chewy won’t get them. Happy dogs. Patches slipped away to chew on a Hoof, which has since made its way into our bed at night. 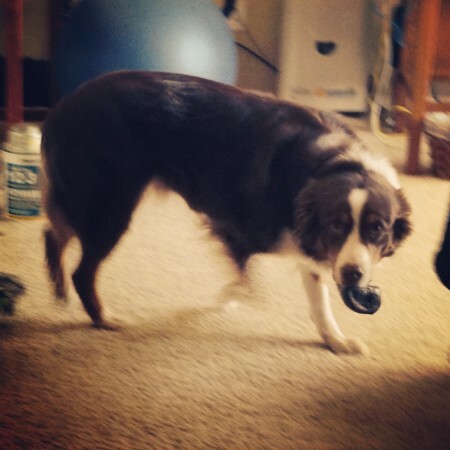 Turns out Chewy is a big Hoof fan, too. I’ll be announcing the winner on Monday morning, so leave your comment and stay tuned! Tell your friends! You know you want this treat!